It is my belief that everyone, in varying degrees, has music inside of them and the role of the music teacher, as I see it, is to awaken this inner music and give it form. I see my teaching as an opportunity to foster the students’ natural ability to learn, encourage them to use their creative potential and to help them to experience the joy of making music. and New York area today!. Building a strong foundation of piano technique during the first years of study will, I believe, help my students in later years to feel comfortable with playing different styles of music. However, technique is not a goal in itself. It is a starting point from which students can develop their creative ambitions. Studying piano doesn’t mean just taking lessons. An essential part of the learning process is performing. I always encourage students to perform several times a year. At least two formal concerts as scheduled. These concerts are held in beautiful settings where we celebrate music together with our families and friends. Participation in different kinds of musical events – lectures, musical parties, and seminars enables my students to explore music in all its various forms. Join us for Piano Lessons in Manhattan and New York area today! Natalya Mark was born into a musical family in Saratov, Russia, a city known for its great musical culture and traditions. Both of her parents were well known professional musicians and teachers. 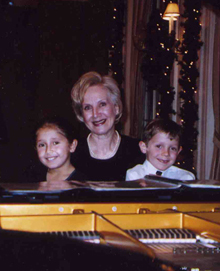 She began her piano studies when she was five years old. 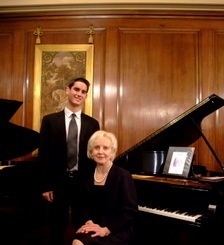 At an early age, Mrs. Mark was exposed to the great traditions of classical musical training which later formed her foundation of her teaching. Mrs. Mark completed 17 years of professional musical study, including 5 years at Saratov State Concervatory, one of the finest music schools in Russia. 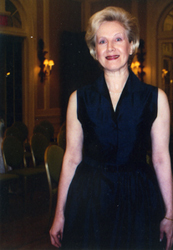 There, she studied with many distinguished professors; among them Elena Nayda, Anna Mandel and Olga Vishnevskaya. While a student she began her teaching career at the School for Gifted Children. Upon graduating she was invited to teach at the College of Music of Ippolitov-Ivanov, one of the most prestigious in Moscow. During her 18 year teaching tenure there, she also held the position of College Dean. 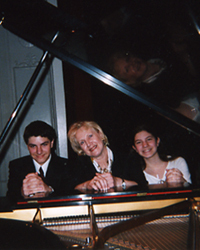 Mrs. Mark came to New-York City in the early 1990′s and has successfully continued her professional career as a full-time piano teacher at the French-American Conservatory of Music, located in the historical Carnegie Hall building. She maintains a private studio as well. Her experience, knowledge of music, passion for and dedication to her profession validates her reputation as a first rate teacher and performer.